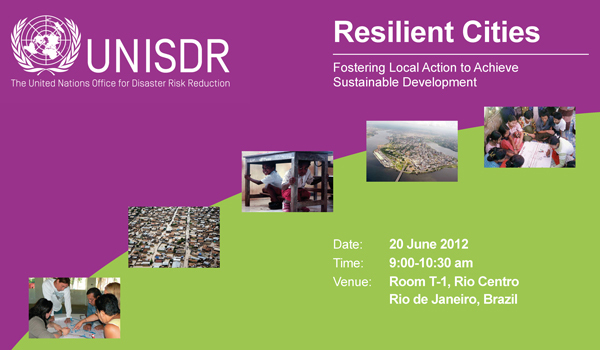 A key side event for UNISDR at Rio+20 - News about the event! 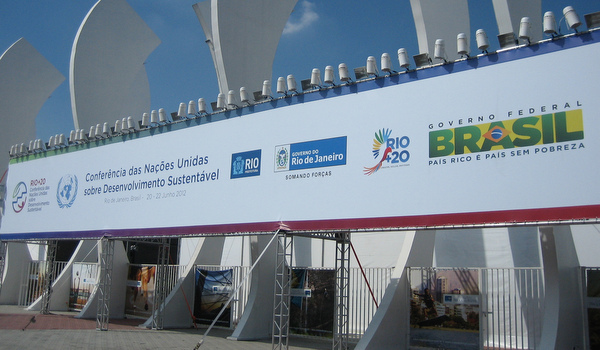 We've been capturing the ambience of Rio+20 with photos - Click here for a selection on Flickr! 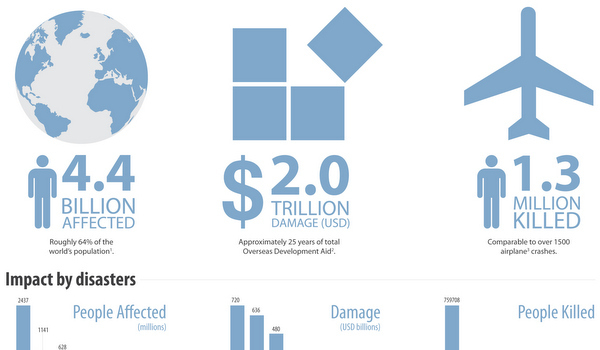 The impacts of disasters since the 1992 Earth Summit - Download the graphic! Interested in UNISDR's special edition newsletter for Rio+20? Download it here! We're collecting videos on disaster resilience and sustainable development for the Future We Want campaign leading up to Rio+20! 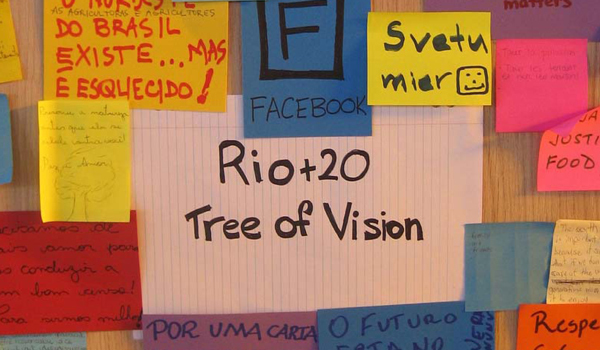 View our Rio+20 YouTube playlist! Join us on Twitter to tweet about Rio+20. The 1992 United Nations Conference on Sustainable Development (UNCSD) also known as the "Earth Summit", was an important milestone that brought environment and development issues into the public arena. Agenda 21 and the Rio Declaration on Environment and Development are two important outcomes of the Summit that outlined the key policies for achieving sustainable development. To mark the 20th anniversary of the 1992 Earth Summit, the United Nations Conference on Environment and Development dubbed as "Rio+20" will take place in Rio de Janeiro, Brazil from 20-22 June 2012. Discussions in the Conference will also focus on two themes: (1) A green economy in the context of sustainable development and poverty eradication; and (2) the Institutional Framework for Sustainable Development. Disaster risk reduction has been included as part of the new and emerging issues in Rio+20 after the issue had been raised by UN member states, UN agencies, political groups and major groups. Other emerging issues identified include (i) combating poverty through green jobs and promoting social inclusion, (ii) advancing food security and sustainable agriculture, (iii) sound water management, (iv) energy access including from renewable sources, as well as efficiency and sustainability, (v) sustainable human settlements and (vi) management of oceans. A Resilient Future: UNISDR Statement on the Zero Draft of the Outcome Document Rio+20: "The Future We Want"
Chengdu declaration for action - This Declaration is an outcome of both the 2011 World Cities Scientific Development Forum, held in Chengdu, China, on August 11-13, and the Mayors' Summit for Disaster Risk Reduction, which was part of the Forum. DRR EVENTS AT RIO+20 on PreventionWeb!